Here's a sweet dessert with no added sugar and a whole lot of vitamins and minerals! This nice cream recipe is so easy to make! I eat so many bananas that my boyfriend jokingly calls me a monkey. Bananas are just so versatile and convenient. I can slice one and add it to my morning Greek yogurt parfait, and I can easily stick one in my bag for an afternoon snack. And heck, I can even freeze bananas and turn them into "nice cream." I love ice cream, but I try to not keep it in the house because it's so tempting. So if I want a dessert with a similar texture to ice cream, I'll use my food processor whip up a fruit-based version. 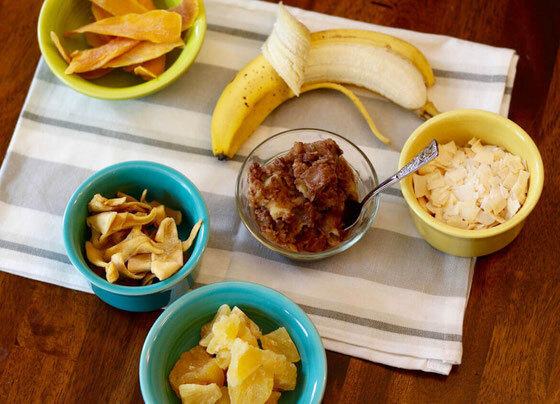 You can do this with just bananas, or you can add flavorings to it like cocoa powder or vanilla extract. You can even add other fruits like strawberries and cantaloupe (try my Cantaloupe Banana Nice Cream with Pistachios). For this banana nice cream, I made a really simple, yet delicious, version with frozen banana slices and unsweetened cocoa powder. I love using unsweetened cocoa powder as a sweetener because it's naturally sweet so contains no added sugar—yet provides a whole lot of antioxidants. If you're wanting to try more recipes with cocoa powder, take a look at my Almond Pistachio Cocoa Bites or my Berry Almond Cocoa Smoothie. The bananas provide a lot of nutrition, offering blood-pressure-helping potassium, as well as cholesterol-helping fiber. 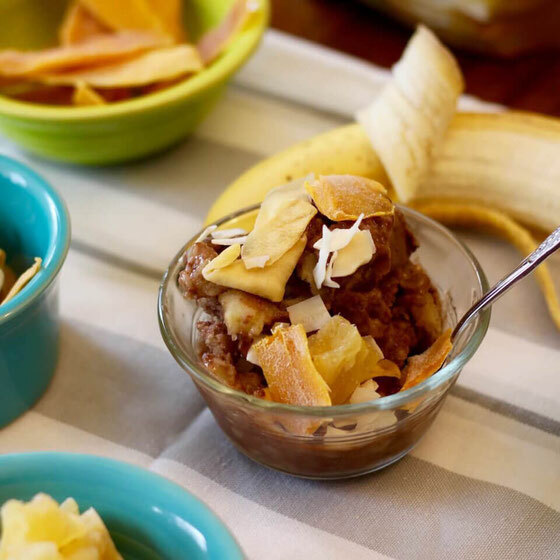 Plus, eating this nice cream counts toward your daily servings of fruit! I often eat my nice cream plain. But you can also add toppings of dried fruit, or even a sprinkle of unsweetened cocoa powder, if you'd like! How to make nice cream? 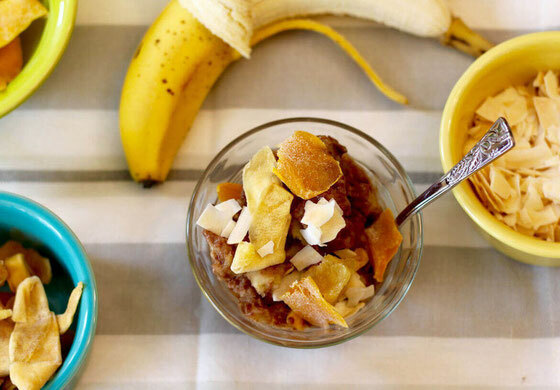 Making this banana nice cream is pretty easy! 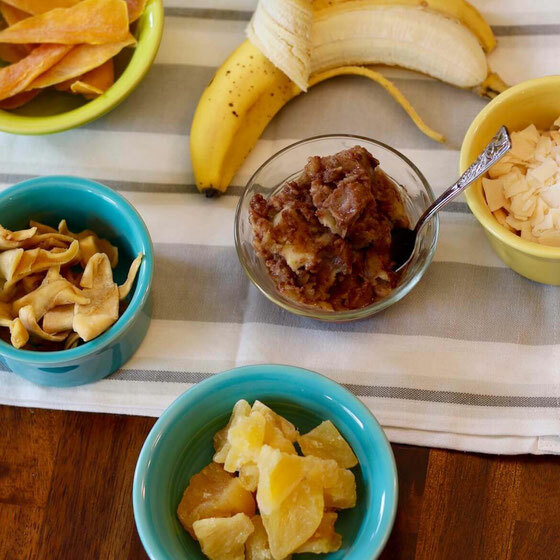 Place bananas and cocoa powder in a food processor or high-speed blender. Process or blend until completely smooth, pausing if necessary to push the ingredients toward the bottom of the processor or blender. Serve immediately. Serves 2. What are your thoughts on this topic? What are your favorite ice cream and nice cream toppings?